In an interview in the London Health Sciences Centre on Tuesday, Immigration Minister Jason Kenney announced that the Canadian government is looking to fast-track foreign-trained doctors to help fill Canada’s shortage of physicians. 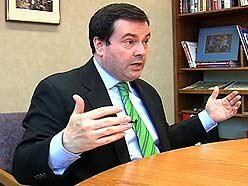 “It’s critical our immigration system respond to current and future shortages and across the spectrum of the labour market” Mr. Kenney said in the interview. The reports of the possible fast-track program for physicians are being looked on favourably in the province of Saskatchewan, as provincial officials say it currently takes two years for foreign physicians immigrating to the province to have their application approved. No details have been released about the fast-track program for physicians, so it is not known what qualifications foreign-trained doctors need to meet to be eligible, and how long a fast-tracked application would take to get approval.